Toast and Tables: Disappearing Act: In this casual world, is formal passé? Disappearing Act: In this casual world, is formal passé? charges, plates, bowls and my mother designing a stellar centerpiece. 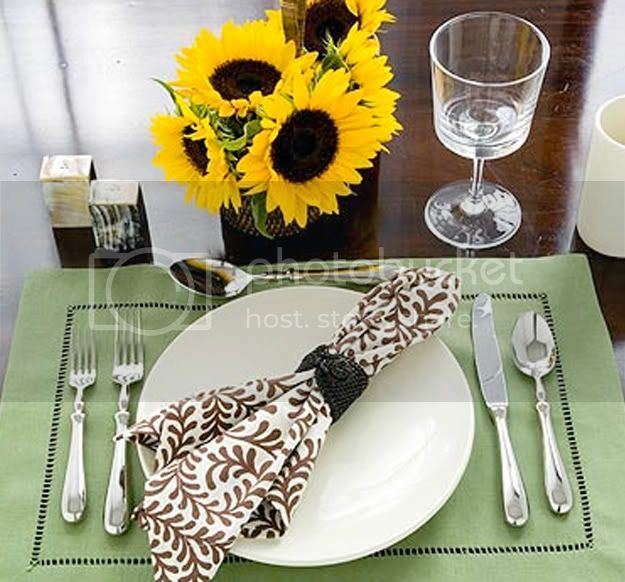 conventions - - and a trend away from formal entertaining? table for a casual mother's day lunch or a formal dinner. for red wine and champagne). 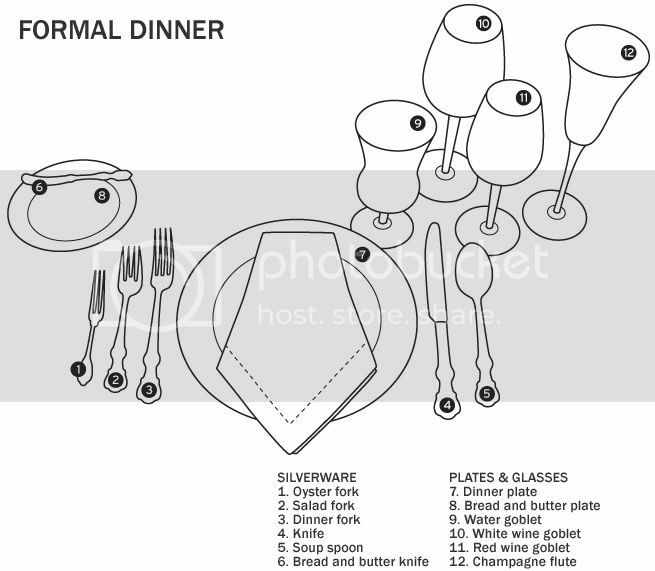 (above: For a formal luncheon, the table is set much as for dinner with a few exceptions. The presence of an iced teaspoon and iced beverage glass announce a daytime event). (above: A casual dinner calls for less formal china and stemware, and stainless steel flatware is fitting for the relaxed setting). 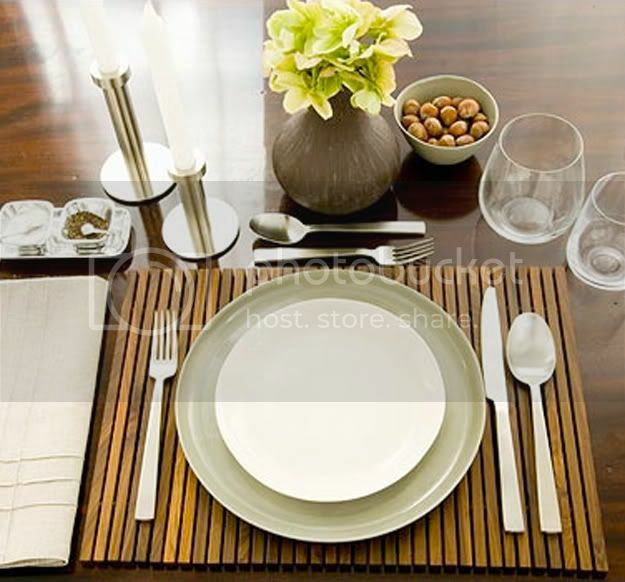 (above: For a casual lunch, feel free to use heavier dinnerware, like these simple ceramic plates. Provide glasses for whatever beverage you plan to serve). Everything has its place and season and I wish formal was more in. Sometimes, you just want to do something special, dress up in lovely frocks and enjoy a scrumptious meal on beautiful and elegant everything. I find it is sad that formal entertaining is disappearing. I prefer when special days feel out of the ordinary. The same is true with how people dress for certain family events. Sadly, the traditional media does not always help. 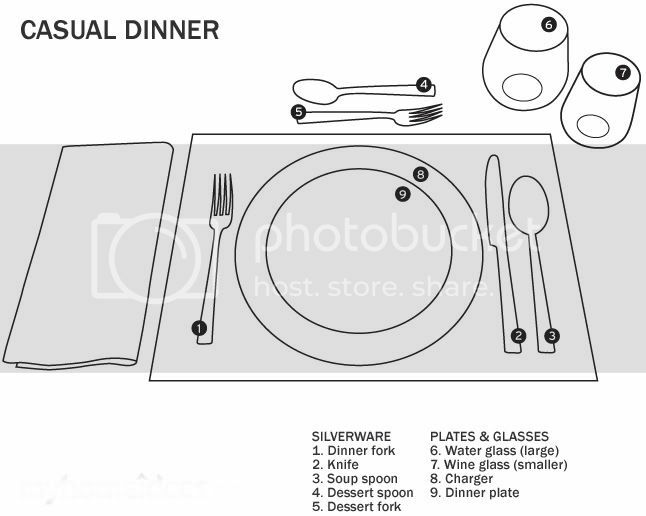 I often saw table settings in magazines put together by designers than do not follow the standards and called their table formal. Therefore, less and less people learn the proper ways. 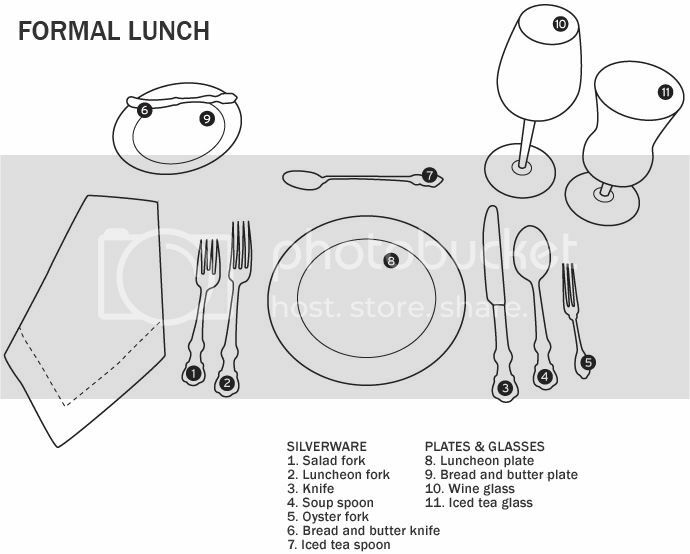 Thank you for the table setting line drawings, its a great reference! Reading your post inspired me to write about table etiquette. You are showcased obviously. I love a formal table we didn't do it every night as kids but we certainly did it often enough. It's so funny because it gets more casual with each generation I think. My mom tells my that her grandma had bread and butter plates even for lunch. 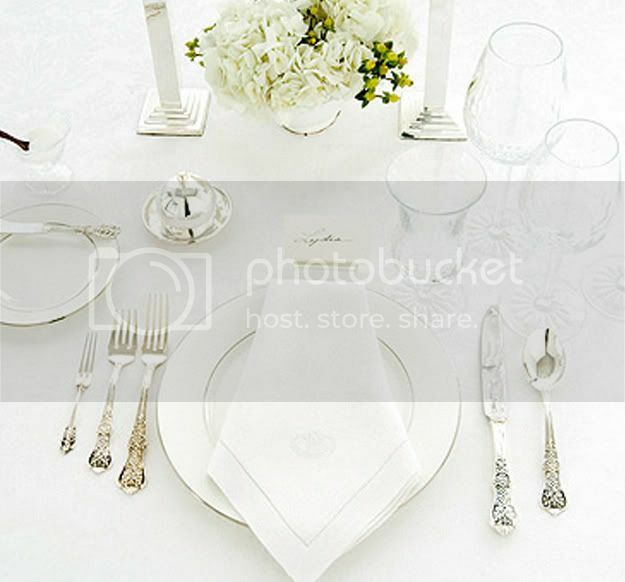 I think that the formal setting really sets the stage for special occasions or an intimate dinner. 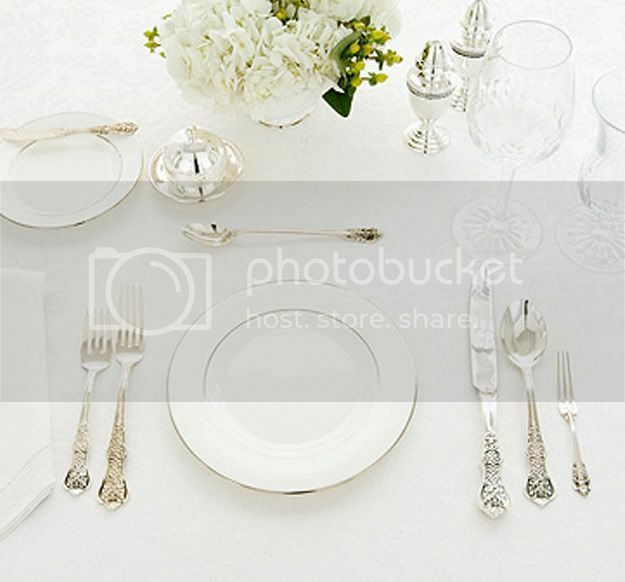 I love your post is really interesting an useful expecially where you explain where to put things in a formal dinner.I'm italian and we generally don't use the bread plate and since I love decoration of the tables i will have a look in your blog very often. 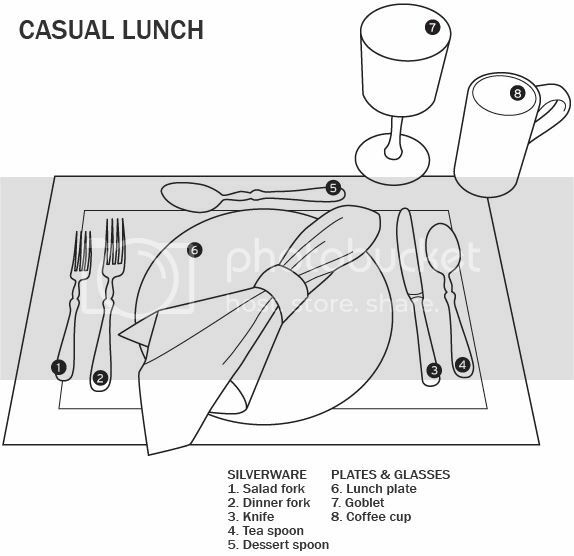 I found this story very helpful and informative when I read it on MyHomeIdeas.com -- especially the printable PDFs of the tablesettings. Someone there must have worked very hard to put all of it together!